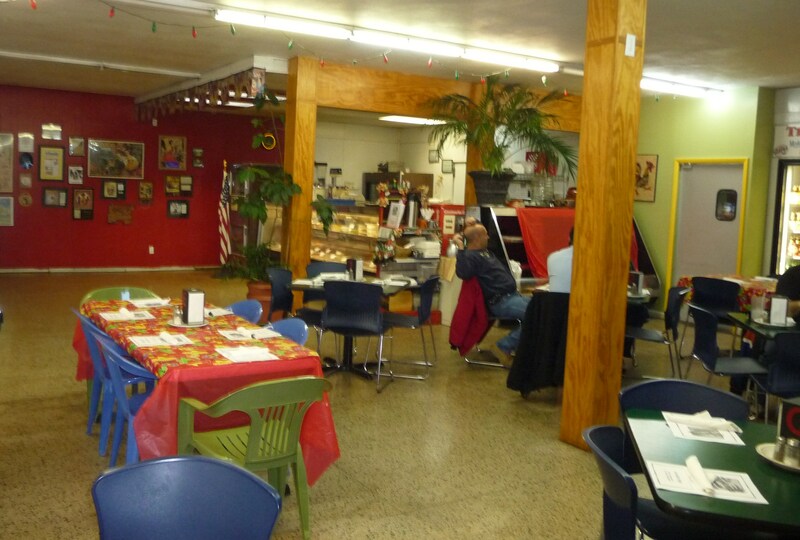 A small menu of Cuban and Mexican food in a deli/cafe type setting. Nothing fancy, just well prepared food. The waiter was soft-spoken and kind of gentle soul, he filled our water often and brought a jug to the table, when we didn’t fill our own glasses up he came over to do it for us. I should have looked at the deli case before ordering as I think I was more excited to see the food in the case after I had eaten than I was when I got my food. (Side note: I personally would love for every menu on the face of the earth to have a picture of exactly what I am getting, so I can decide with my eyes rather than my imagination) I’m not saying I made a bad choice just saying I am glad that you can actually see your food first! I really want to try the empanadas next time I go in they have maybe 4 or 5 different kinds. Also, I think that this will be a great place to get food and drink in the summer since they have a nice big, covered outdoor seating area!!! Fine and good. 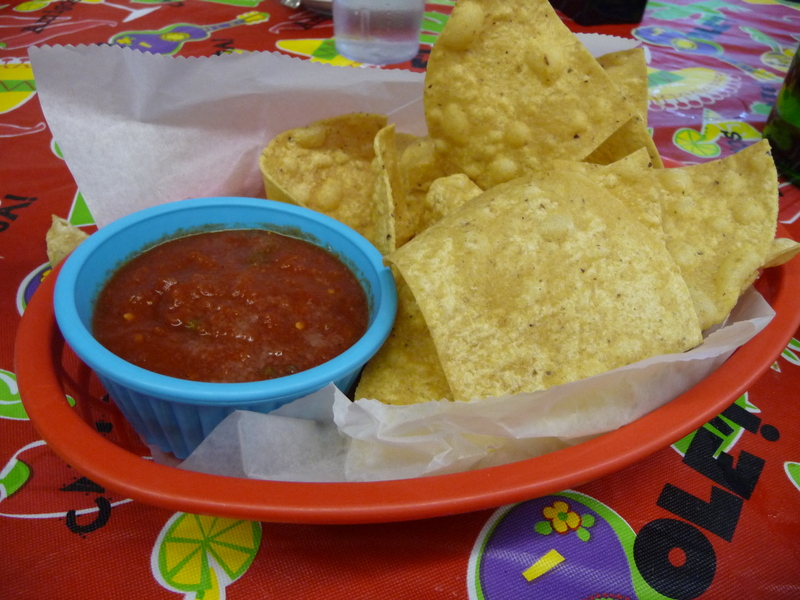 The salsa was a ketchup-y variation, which I liked cause I am a salsa dipper not a salsa scooper, imagine dipping chip into above salsa and tapping on the side of the bowl and having a nice thin coating of tomato-y goodness. Fine – I liked this sandwich but I wouldn’t get it again. Two reasons: 1. I like my sandwiches with a little more “sauce” (see the Monte Verde Salsa) as I have said before but not in these exact words, I like my food un-dry. 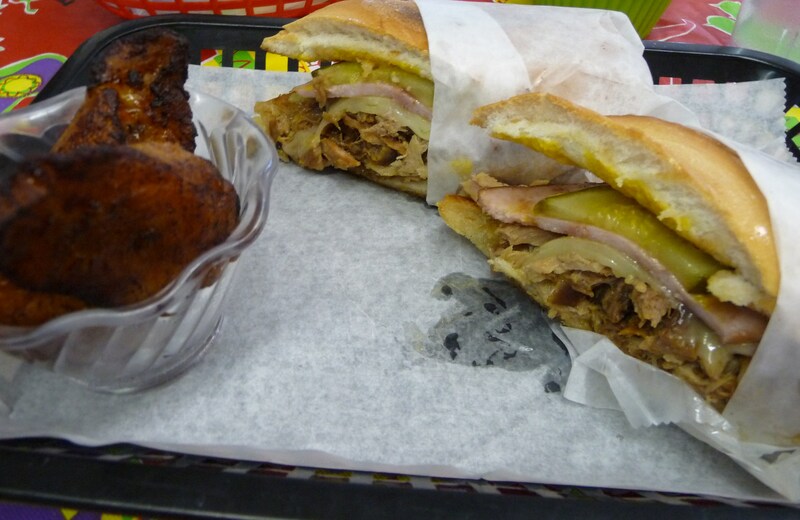 Not that this was dry-dry, it’s just that I wanted it to have more of a sauciness, which I am sure would not allow it to be a Cubano anymore, maybe its edited version could be called an Ashbano…..? and 2. I want to try some other things on the menu! Fried plantains needed Mango Man Sauce but otherwise were very tasty! 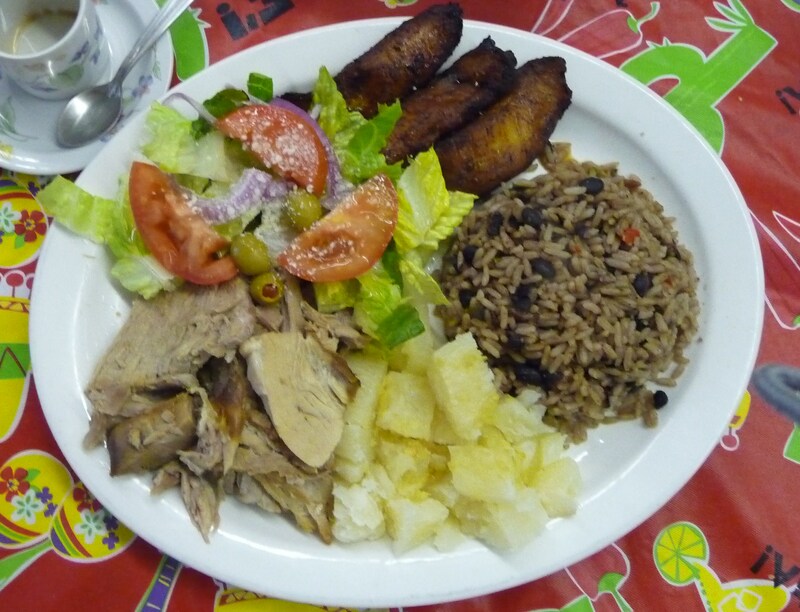 Pork Plate with Fried Plantains, Yucca, Salad and Beans & Rice! Fine – I liked it but didn’t love it. The meat is super tender and very simple which is key, not overly spiced, just a great pure meat flavor. The salad is your standard, nothing to jump up-n-down about. The yucca is an interesting kind of potato-y vegetable, I think this could be fantastic with some sort of sauce drizzled over it. In general I don’t get excited about beans and rice, these were good but not amazing. I’ve been having a craving lately for rice & beans but this place didn’t make me want to rush there. Also, the place looks like someone’s basement.